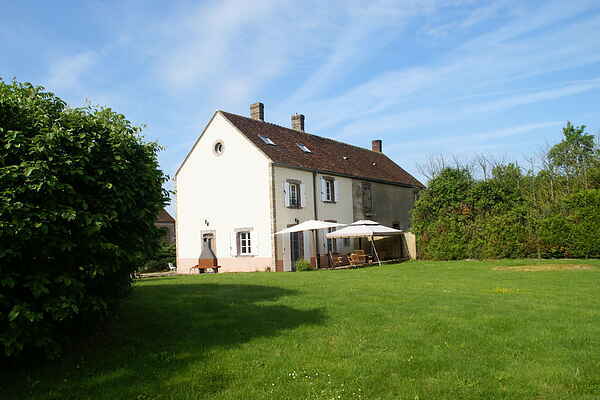 Experience fine local living in this authentic Burgundian farm. You'll see how wonderful it is in this vacation home in Diges (4.5km). You'll have a large, child-friendly grass garden with a private swimming pool available (above ground model). Next to the house, there is also a large terrace with barbecue and sunbeds. Tourcy (6km) is the perfect place for a spot of swimming and tennis. A bakery, supermarket and market can be found here too. Diges features a restaurant. Your stroll through this fantastic environment begins at home. There are numerous cycle routes. St. Fargeau (27km) features a recreation lake with a beach. A beautiful trail leads through the surrounding forest. If you fancy a challenge, canoeing is always an option. Pay a visit to Arcy-sur-Cure (45km), with its fascinating caves and unique castle. The Chantier Médiéval de Guédelon (26 km) is especially interesting. A castle is being built here using medieval construction methods. The project is estimated to last 25 years. Visit various craft workshops at the castle to learn about construction. St. Aubin-Château-Neuf (16km) features a golf course. A visit to Auxerre (21km) with its friendly centre is certainly worth the effort.